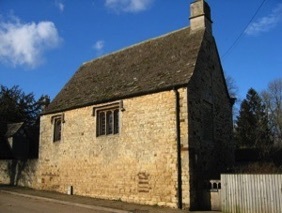 The Priest’s House is one of the National Trust’s smallest buildings. It is located near the end of West Street and was built by John Stokes, Rector of Easton from 1456 until his death in 1495. Stokes was also a canon at York Minster and the building probably housed a priest to look after the parish in his absence. Stokes left money in his will for a chantry priest to pray for his soul and for those of his family. The chantry priest would probably have lived here until 1545 when chantries became illegal following the dissolution of the monasteries and the associated funds were appropriated by the Crown. To celebrate the founding of the RAF 100 years ago this exhibiton describes life in the RFC and the RAF in the eariliest days of flying. It also remembers the men of Easton who lost their lives, showing how they met their fate and how the village was involved with its two nearby airfields now amalgamated to become RAF Wittering. A display and pictorial record of this fundraising appeal. This is in addition to the standing exhibition on the local industry of mining and preparing Collyweston slates. A recent addition to this exhibition is a short video showing life down a working mine and how the slates are fashioned for use. The exhibition will be manned every Sunday in June, July and August between 2pm and 4.30pm, and entry is free to all. Outside these dates and times a key can be obtained from one of the nearby key holders listed on the property notice board. 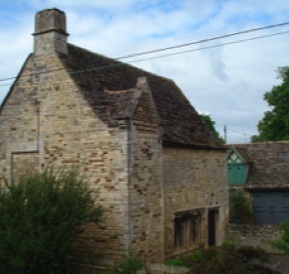 The Priest’s House has as part of its museum an extensive collection of Collyweston mining and slating tools, photographs and other material relating to the industry. New this year is a short video for visitors to watch on the mining and preparation of Collyweston slates. 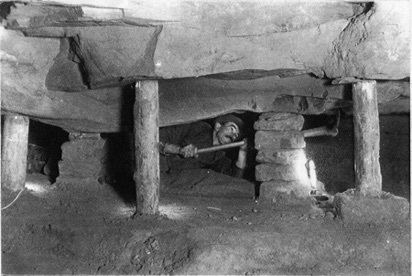 The filming took place in Claude Smith’s mine in Collyweston and was part of a television programme. unique to this area and help to give old buildings in Stamford and other local towns and villages their distinctive and attractive appearance. They were used on many prestigious buildings, such as Burghley House, Rockingham Castle, Boughton House and the Mansion House in London. The building contains many interesting architectural features, and also houses an eclectic collection of old artefacts, and occasional special exhibitions, including currently one on the ironstone industry that flourished in the village between 1876 and 1919. The Priest’s House is adjacent to the Grade II* former Rectory (now The Glebe House) which dates from about 1700. The house, which has a handsome south elevation, visible from the road, was the birthplace of Lancelot Skynner, Captain of the ill-fated HMS Lutine which foundered off the coast of Holland in 1799 carrying a huge cargo of gold that is still waiting to be discovered. The ship’s bell was found in 1859 and hangs in Lloyds of London’s underwriting room in the City.